LINE is a popular social networking and message app for iOS device users as it has recorded over 400 million users globally. LINE is a compendium of everything social media: you can read the latest news, follow your favorite artist, and get to hear from brands you love. However, as you get to use the features of LINE app, your iPhone storage space gets to suffer for it. 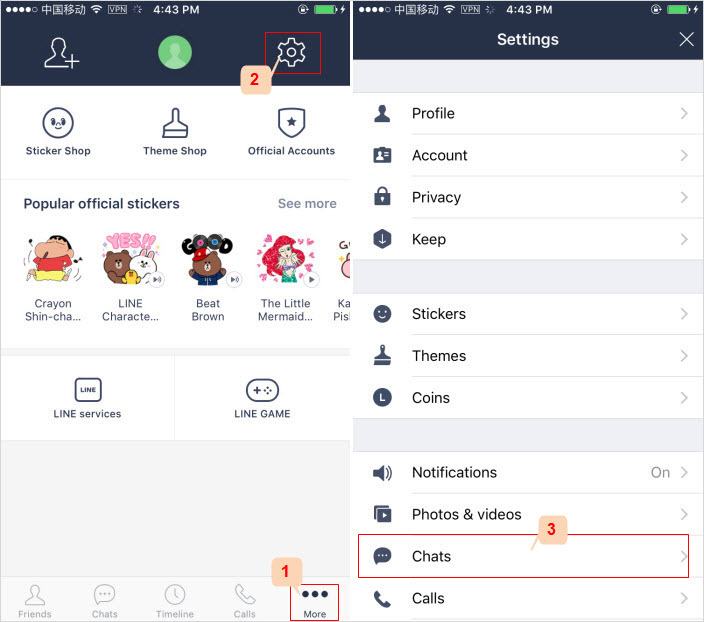 As you chat with friends, or share photos and videos through LINE, your iPhone will get to keep a copy of these files which not only occupies space but also compromises privacy. 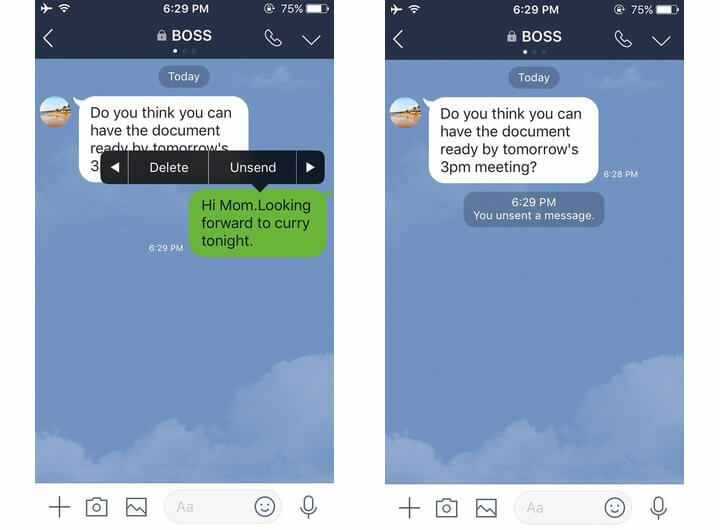 You will be forced to clear LINE chats, chat histories, messages, and conversations. But is simply deleting LINE data safe enough? You can find the answer below. You should know: LINE messages which were manually deleted from iPhone still remain recoverable because they weren’t deleted from the device drive. If you need privacy protection, you should permanently erase them. 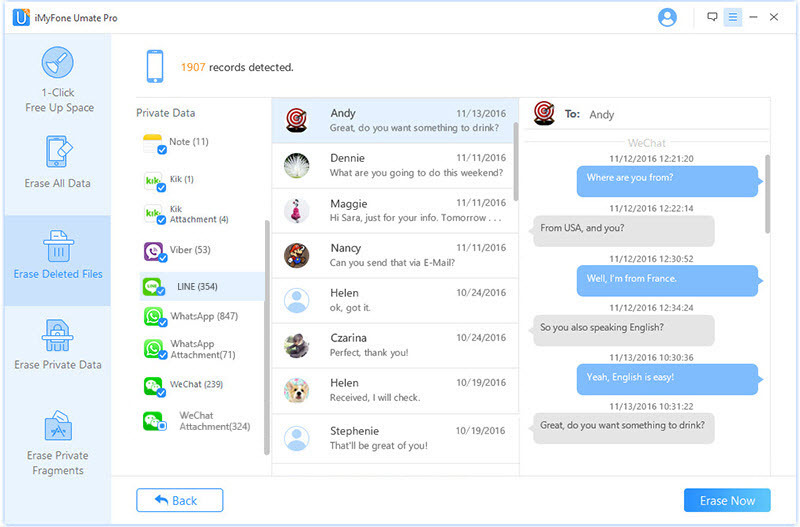 iMyFone Umate Pro is the right and ultimate solution for permanently erasing LINE app to delete multiple messages, chat histories, and conversions. This tool erases private data from iOS message apps permanently to render them unrecoverable. Therefore, if you are looking for a tool to erase or delete LINE messages on your iPhone X, then choose iMyFone Umate Pro. This tool would ensure that every unwanted LINE message is removed permanently to recover your iOS device storage space. 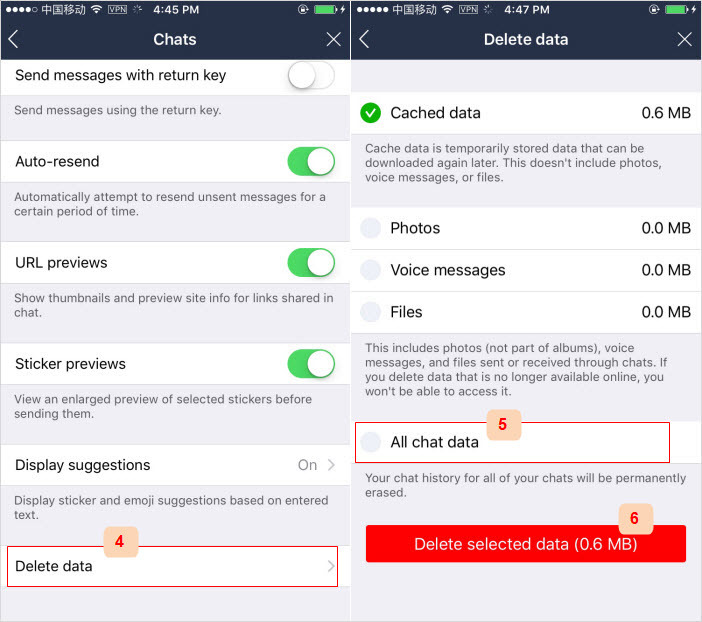 Permanently Erase LINE: Preview and select LINE messages, call history, chat history, photos, videos, data, etc. to delete, which is 100% unrecoverable. 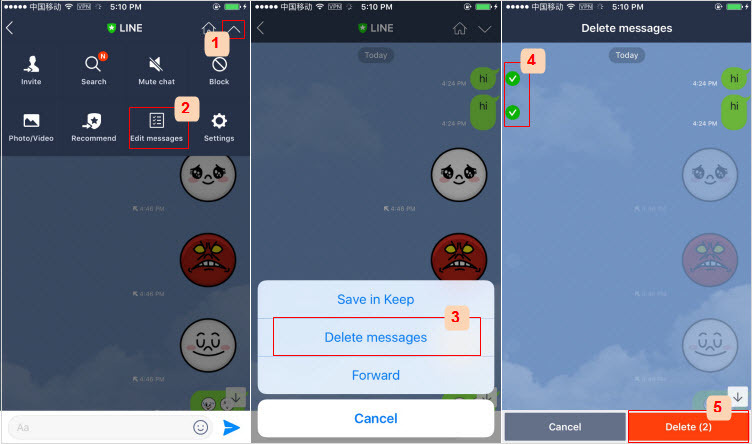 Wipe Deleted LINE Messages: LINE Messages which were deleted previously can be found out and completely destroyed. Erase LINE Fragments: Private traces and fragments left by LINE will be fully wiped to protect your privacy. 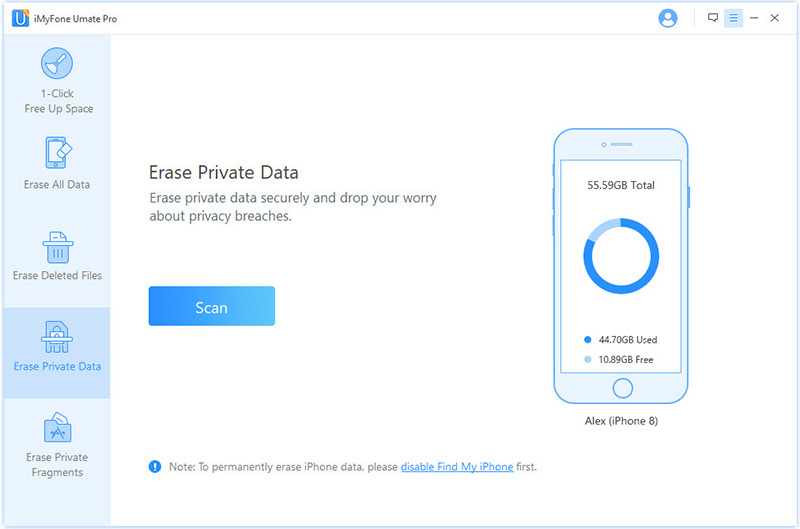 Completely erase also photos, videos, messages, notes, call logs, WhatsApp, WeChat, Viber, Kik and many other iPhone data. If there are personal information stored on your iPhone LINE app, then follow these steps to remove them using iMyFone Umate Pro. Step 1. Launch iMyFone Umate Pro on your PC or Mac, and connect your iPhone using a USB cable. Step 2. Click the “Erase Private Data” tab and “Scan” tab. Note: If you want to erase deleted LINE messages, choose “Erase Deleted Files”. If you want to clear LINE traces, choose “Erase Private Fragments”. Step 3. After scanning, iMyFone Umate Pro will list your private data. Select “LINE” to preview. Select unwanted messages, and then click the “Erase Now” tab. Step 4. Type “delete” into the box and select a security level. Then, click “Erase Now” button to delete your LINE messages. You can selectively delete messages on LINE app, but if you don’t know how to, you may not be able to delete your private messages. Follow these steps to delete LINE messages. Launch your LINE app and enter your chat room. Click on the down arrow icon and click “Edit Messages”. Choose “Delete Messages” and tick the boxes next to the messages you want to delete. Click “Delete” to erase LINE messages. How to delete LINE chat history can be tricky and confusing, but this guide will help you pull through successfully. Launch LINE app on your iPhone and click “More”. Find and click "Chats" option. Scroll down and click "Delete data". You can check "All chat data" or just check the files. Then click the red "Delete selected data" button and confirm it. Yes, if you send a message on LINE but later you wants to erase it before the recipient reads it, you can use LINE-Unsend feature to unsend the message, photo or sticker. Tap and hold the message you want to unsend, and select “Unsend”. The notification “You unsent a message” will replace your message when you unsend. The recipient won’t see the message any longer. We have discussed how to unsend messages on LINE, how to delete chat history on LINE, and How to delete LINE messages, and how to completely wipe LINE private messages from iPhone. We would like to also mention that none of these solutions could totally remove LINE messages permanently except iMyFone Umate Pro. Therefore, we encourage you to download, install and use Umate Pro in removing LINE and other social media app private messages from your iPhone.